Located in New York Harbor, the Statue of Liberty was a gift of friendship from the people of France to the people of the United States and is a universal symbol of freedom and democracy. The Statue of Liberty was dedicated on October 28, 1886, designated as a National Monument in 1924 and restored for her centennial on July 4, 1986. This piece was inspired by the monument itself. 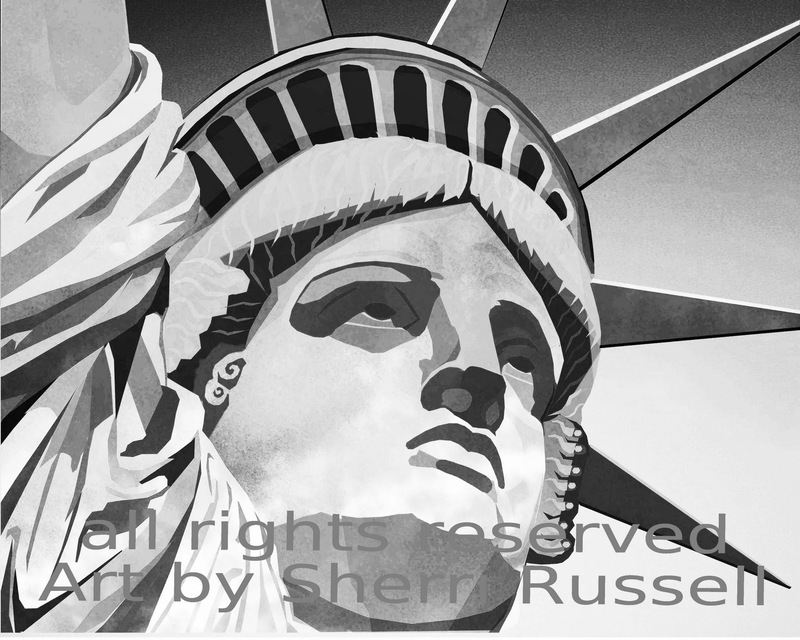 Sherri combines photography, illustration, creativity, and graphic design in this fascinating limited edition, black and white print. Only 100 will be printed and sold! Not all photo paper is the same. Using the right kind of paper can make all the difference in printing, displaying, and preserving photo based artwork - so for this piece, nothing but metallic paper would do! Email sherriannrussell@gmail.com for more information.